Over time, smiles may experience numerous aesthetic and functional problems. Thanks to Dr. Bruno and her team, we can restore your smile to its original look and strength in the matter of a few appointments. Using braces, crowns, bridges, dental implants, tooth-colored fillings and more, we can turn back the clock for your teeth and help them regain their fullest potential. Do you need help? Be sure to contact us today here in Austin, TX. 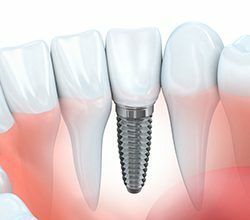 Dental implants are the premier solution to missing teeth available today. They’re able to provide results that are virtually seamless in both look and feel. Dr. Bruno can use them to replace any number of teeth. With the proper care, they can easily be expected to last for 30 years or more. Whether your teeth are damaged structurally or need to be enhanced cosmetically, a dental crown is able to do the job right. It’s a custom-made, tooth-shaped restoration that simply fits over the top of a tooth. This restoration can repair and improve your smile in a wide variety of ways. We can even use two of them to help “bridge” the gap left by missing teeth to help you regain your complete smile. Our practice chooses to use metal-free composite resin to repair slightly damaged teeth and small cavities because it can be colored-matched to blend with a patient’s smile, and it also forms a much stronger bond with enamel compared to traditional fillings. Composite resin is a safer, more biocompatible option too! 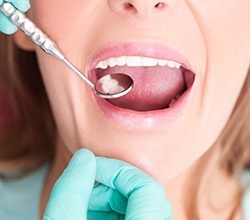 It enables us to repair a tooth in a way that looks great and can be trusted to last. 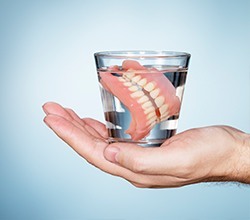 If you have multiple missing teeth, one of the quickest and most affordable solutions involves replacing them with a removable prosthetic that's known as dentures. 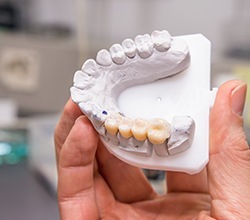 Thanks to recent advancements, modern-day dentures are now smaller, sleeker and more natural-looking than ever. Partial dentures are designed to fill in the gaps in a smile while fitting in seamlessly with the remaining teeth. A full denture can restore an entire row of teeth. When partnering this denture with a few implants, we are able to give you a full set of teeth less expensively and with better fit and retention than traditional dentures! Our team will take all the time needed to ensure you leave our office with a smile that brings you confidence. 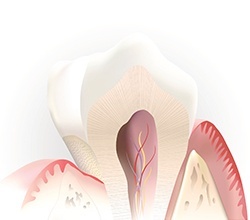 When the nerve of a tooth becomes infected due to either injury or decay, the only way to relieve the resulting pain is with a root canal. Despite its negative reputation, a root canal is actually one of the best tools we have to relieve severe dental pain as well as save teeth that would otherwise need to be removed.